Over the 4th of July holiday weekend, I was at my friend Sarah's house in Newport Beach. I hadn't brought any food down for the barbecue because I didn't think I'd stay that long. After grossly overstaying my welcome, I was happy to hear that Sarah was prepared for me in the event that I decided to stay. Along with a few packages of Trader Joe's Chicken Sausage, which has "Gluten Free" written on the back of its packaging, Sarah had picked up a Lite Ranch dipping sauce to go along with some fresh veggies. When I first started to read the ingredients of Litehouse's Lite Ranch, I was a bit baffled by the inclusion of guar gum and other similar compounds. 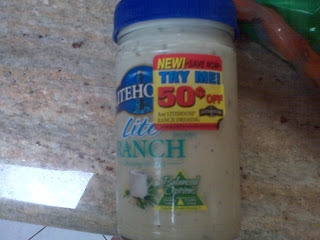 I was relieved to see that Litehouse conveniently marks its products "Gluten Free" if they are gluten free. This saved me the headache of calling the company and asking for information. After doing a bit of digging, I've also found that the company publishes a list of products that do not contain gluten on its website in the FAQ section. Gluten Free Freak, my partner in crime for Babycakes' Frosting Party just posted the awesome video below of us conducting our frosting lessons. I saw tihs article while I was perusing the New York Times today about chips without gluten: "With These Chips, Who Needs Salsa?" I'm not sure whether these are produced in a wheat-free facility as I haven't seen them on shelves yet, but wanted to give you a heads up! 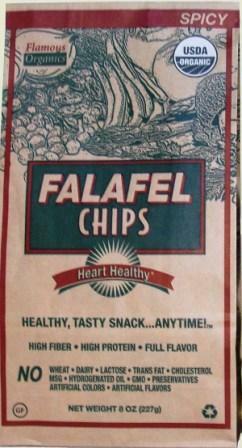 It seems that Garden of Eden stores sells these "Flamous" chips, as does Whole Foods.